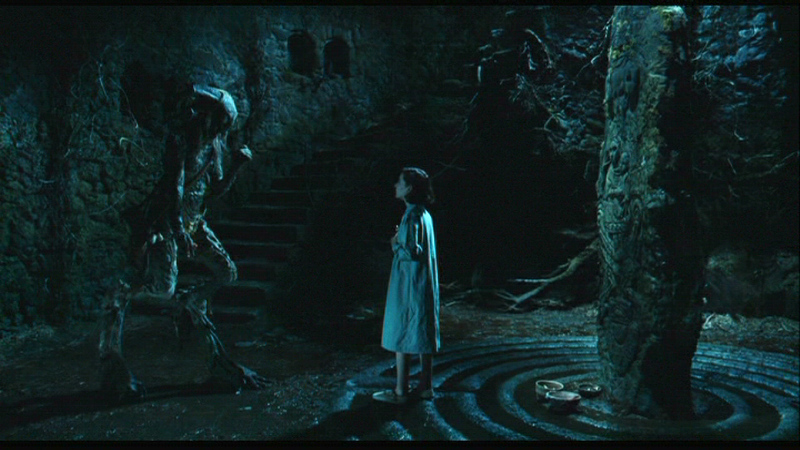 Pan’s Labyrinth is very much a Guillermo del Toro film. The 2006 historical fantasy is loaded with the Mexican filmmaker’s pet themes, and includes creatures and designs personally conjured up by del Toro and bearing his signature style. The look, in particular, of the film helped bring to life perhaps the purest version of del Toro’s vision. The director of photography tasked with putting this vision on screen was Guillermo Navarro, who succeeded enough to win the Academy Award for Cinematography for his work. Navarro is a Mexican cinematographer whose credits include Desperado, From Dusk til Dawn, The Long Kiss Goodnight, Jackie Brown, Spawn, Stuart Little, Spy Kids, Zathura, Night at the Museum, The Twilight Saga: Breaking Dawn, and Pacific Rim. He is known for his use of vivid blues and yellows that dominate his images. 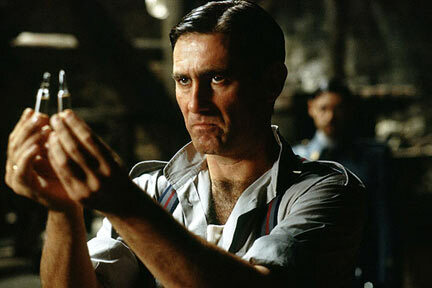 Having worked with del Toro before on the Hellboy films and others, he was a perfect choice to shoot Pan’s Labyrinth. Pan’s Labyrinth was also nominated for Best Foreign Language Film, its production being 78% Spanish and 22% Mexican. Because Pedro Almodóvar was shooting Volver at the same time, much of del Toro’s Spanish crew was unavailable to work on the shoot. He and Navarro had to put together a film crew with mostly strangers and inexperienced workers, and had no idea what to expect. It ended up working wonders for the team. Since the crew wasn’t set in their habits, Navarro was able to use them any way he saw fit. This was a great benefit considering the American grip & electric system they used in Mexico was much different from the system European crews were accustomed to. Shooting in Spain also afforded the crew a 5 ½ day work schedule and a slower working pace, which allowed Navarro the time to set up scenes and shots in a more deliberate fashion. Principal photography was wrapped in three months. Navarro went to Spain with his own Moviecam Compact cameras that he owned and used for all of his shoots, as well as his personal Arri 435ES lenses. Two lines of Zeiss lenses were used, Ultra Primes and Variable Primes, depending on what the shot called for. A lot of the film’s equipment was homemade from Spain. Navarro got a lot of use out of a small crane nicknamed the “puchi,” appropriated from the English “push in.” The crane allows a single operator to move the camera in a variety of ways with great freedom. Navarro grew very fond of the tool, even purchasing his own for his work in LA. He often operated it himself during the shoot, with his frequent and trusted collaborator Jaromir Sedina simultaneously wielding a Steadicam. When a scene required more camera height than the puchi could provide, Navarro opted to use a taller Technocrane. For some of the tight, heavily forested areas where it was hard to find room for lights, the crew used a sausage-shaped illuminated balloon that could float over the set and light it from above. Navarro used three film stocks—Vision 250D, Vision2 500T, and Vision2 200T, depending on what was being photographed. The crew shot a lot of day for night, especially in the forests where it was very difficult to artificially light. By underexposing these scenes three to four stops, Navarro not only created night, but gave it an eerie presence that fit the film’s fantasy elements. He purposefully kept lighting effects that could only be attained with sunlight, which jarred the image when it passed itself as night, creating an aura of experimentation one might usually find in cinematography school. Because of the awkwardly-shaped spaces of the fantasy sets, Navarro had to be creative with his lighting, finding places to put his lamps that also didn’t disrupt the image. A lot of light was strictly attained by bouncing it into the set. For certain scenes, the crew also drilled tiny holes into the walls of the set and placed little lights into the spaces. In the tunnel of the giant frog scene, Ofelia’s face was lit with a fiber-optic light attached directly to the camera. For much of the film, Navarro used more darkness than actual light, using his lamps and bounce boards to bring just enough of the image out of shadow. 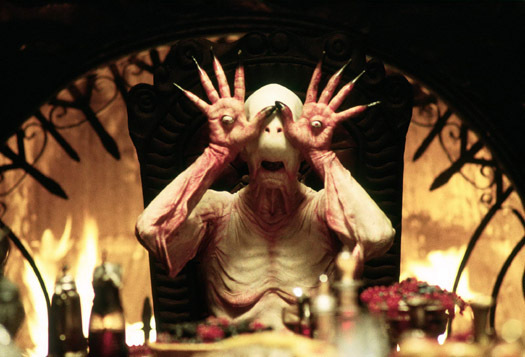 Del Toro and Navarro are of very similar minds when it comes to the use of darkness, and Pan’s Labyrinth was the perfect project for their style. They frequently took advantage of modern film stocks’ ability to be highly sensitive to light. While they used an abundance of shadow, they still needed to carefully add a lot of light to make sure the highlights they wanted to show came through. The crew learned that for many scenes, they couldn’t even go by the light meter, as they were so far down in the F-stop range that it was irrelevant to measure. Making it even more difficult was that the crew was using a digital intermediate and high-definition dailies, where contrast isn’t as defined as it will look on film. The crew had to rely on del Toro and Navarro’s gut intuition, and place faith in the fact that they knew what they were doing and weren’t permanently obscuring the beautiful imagery of Pan’s Labyrinth in shadow. Fortunately for the audience, their gut intuition was right.